Is Cuban food a bad joke or what? Undaunted, we let ourselves get excited the other day and found ourselves craving a Cuban sandwich. Pork on pork with pickles and mustard….yummmm! And by gosh, some thick, rich black bean soup sounded good too! On our way to the Florida Cafe we thought of Cuba. Of beautiful beaches and bodacious women, Tito Puente and crazy good Cohibas, Tony Montana, Ricky Ricardo and The Mambo Kings Play Songs of Love. Then we ate and all we could think of was bland and boring pork, with only the tiniest smudge of mustard and no pickles at all to liven things up. Even worse was the tasteless…and we mean tasteless black bean soup. Frijoles negros: the most character-free of any famous dish in the world. Without the raw onions on top, it would have had no flavor at all. How can this be? How can a Caribbean country so steeped in so much colorful tradition have such ridiculously tasteless food? Perhaps when Cuba and the U.S. finally restore relations, we can restore some vim and vigor to this cuisine. Or maybe Cubans just like things unseasoned? The swordfish can be quite tasty or on other visits a bit dry and overcooked. I’ve never tried the paella (serves 4), nor oddly enough have I tried the cuban sandwich. Agree with you about Florida but there is nothing wrong with the cuisine that more talented chefs wouldn’t cure. 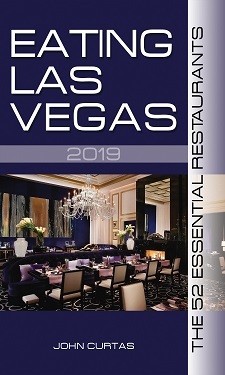 Worst meal in Vegas I ever had was here. Since the owner decided to open his Havana Grill, this restaurant has gone down due to neglect. The food served at this location is very bland and tasteless. The food at Havana Grill is a little better but way overpriced for Cuban soul food. I agree with the reader that recommends Rincon Criollo, that is a better bet. They do not have delusions of grandeur and serve excellent Cuban dishes. Terrible food – and worse yet, we used a debit card there. Someone in the kitchen had a card reader that took our information – they passed it around to friends via phone and we had 10 charges to our card within minutes of giving the card to the restaurant. The bank did find out who at Florida did it and we got our money back – will never set foot back in this place again. I will always, go to The Florida Cafe and eat the best cuban food in town!!!! Oh and the service is is the best…. I will rate that 5 star…. I really think that people who reads this should go and try this food so that you know that is the best cuban food ever…. I been in the U.S since 1995 without family to cook the original cuban food.I been coming to the Florida Cafe since then back when it was a small restaurant.I love the food there it makes me feel right at home.welcomed and loved by the people who work there.Now i can stretch my buck even more with their new buffet which is only 10.00 on the weekend with the same traditional cuban dishes as ropa vieja maduritos,yuca al mojo,and picadillo theres more dishes which i cant even begin to name…..I Love it there and i dont get nothing but the best service….and who has white beans???? only Florida Cafe and they are excellent as well as the black beans full of sazon (seasoning and spices) for those who dont know the true meaning of cuban food you dont have to go to cuba to experience it just come to the Florida Cafe……..
Spanish language comments from your Hispanic readers proves one thing. Spanish is a dialect. Mayan is a language. Why do Latinos call languages dialects, and dialects languages? My best advice it’s to the people who reads this, it is to go out and taste this food and I can promise you that you will go back to Florida Cafe Restaurant!!!! I wish you the best guys! Que lastima me da que la gente levante falsos testimonios sobre los demas….Porfavor si no saben lo que de verdad es comida cubana no opinen…gracias a estos escritos yo visite florida cafe por primera vez con mi familia,y de lo que ustedes dojeron no es mi opinion ya que quede fascinada con la comida y del pan delicioso,los frijoles riquisimos y los postres ni de hablar…casi me llevo al cocinero para mi casa…Its a shame how people write bad comments about someone else…if you have no idea of what cuban food taste like please dont give out an opinion specially a bad one.Thanks to all these comment i visited the florida cafe for the first time with my family,and i have to say that the food was phenomenal,the bread great,the beans outstanding and the desserts amazingly good….i almost took the cook home….oh yeah the cuban mojitos where authentic and delicious…i loved everything…. I love the florida cafe,i love the food,the service the atmosphere….oh yeah and the fabulous drinks…. Vivian, Sam, KC, Jason, et al: Are you all related to owners/employees at Florida Cafe? Or perhaps you should start your own food blog, or at least learn the meaning of the word “opinion”. Personally, I read all of Mr. Curtas’ reviews; and laugh or groan or learn something new. I email some of his prose/recommendations to friends, completely disregard and disagree with others. But this I believe: he is knowledgeable and honest about food/wine and the meals/restos he writes about. For the record, I am a gringo, have never been to Miami, but absolutely love Florida Cafe. I’ve eaten there at least 50-60 times in the past few years, when the place was half the size, and decor half as nice. Their Cubano sandwich that I’ve tasted at least twenty times, is nothing like what Mr. Curtas wrote; always first rate ingredients, pickles aplenty, and I seldom finish it….because it’s so huge. In fact, I was happily surprised to see a smaller (cubanito?!) recently added to the lunch menu. At times, I absolutely crave the moros y cristianos, plantains, chorizo, filetillos pollo; and I will continue to be a regular customer. Realmente me encanta este blog, y los comentarios me parecen muy atinados. Gracias.